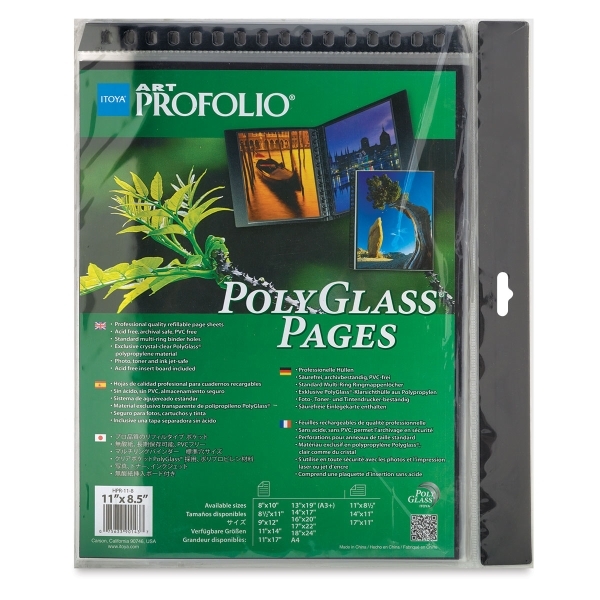 These clear, archival PolyGlass sheet protectors fit Itoya and all standard multi ring binders. A texture free surface gives the appearance that you are looking through glass, making them ideal for displaying photographs, artwork, etc. Recycled material. PolyGlass Refill Pages, Pkg of 10 (Above Example is Landscape, 8-1/2" x 11"